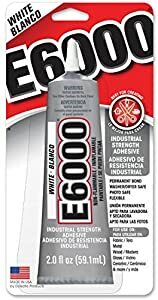 Why is Finding the Right Glue for Plastic so Difficult? Hello and welcome to The Best Glue for Plastic, your one stop shop for gluing plastic to plastic and to virtually anything else. There are so many different types of plastics and so many different types of glue on the market that it’s often very hard to figure out what to use. 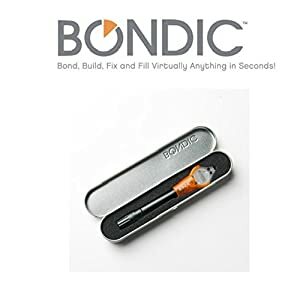 This site is designed to take some of that confusion out of finding the right adhesive for the material or materials you want to glue together. Our objective is to provide you with the best and latest information available. Our focus here is gluing plastic to plastic but you will find adhesives for gluing plastic to wood and metal and other materials as well. 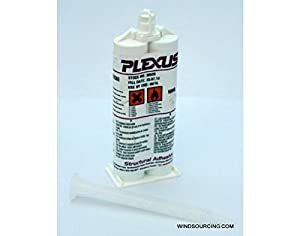 We have organized the large selection of glues available on Amazon into categories that will help you narrow your search. So whether you’re looking to glue your child’s toy or the bumper of your car you’ll find what you need here. You can search for a specific glue, by type of plastic or type of glue and/or for a particular brand or company with which you’re already familiar. Check back often because we will be continuing to add more information and new products. If you have a question and for ongoing updates join our mailing list on our Contact page. But when was the last time you tried gluing two pieces of it together? I thought so! Repairing plastic can be such a challenge at times that I'll just throw my hands up in frustration and toss the offending plastic in the recycling bin. If you’re anything like me, you’ve probably first tried to use any glue you may have found around the house. Most likely the result was less than you'd hoped for. Either the bond didn’t hold at all or it was kind of messy or too thick or it held for a while and then fell apart under stress. As a parent, there have numerous times when one of my child’s favourite toys has broken, unleashing a veil of tears. In the most recent mishap her favourite horse’s tail broke off when she accidently dropped the it on the floor. It’s always been hit or miss with which glue was going to work. So after several failed attempts to glue the tail back on the horse with whatever glue I had in my studio I decided to take the bull by the horns and solve the problem once and for all. There just seems to be so many different kinds of plastic that it gets so confusing as to which kind of adhesive will glue which type of plastic. Let's begin with a short survey of the different plastics most of us have in our homes, offices, workshops and our kids’ toy boxes. Most of us know acrylic plastic or poly(methyl methacrylate) by one of its brand names, Plexiglas®. It also goes by Lucite®, Perspex®, Acrylite® and a host of other names. Acrylic is a thermoplastic that can be molded into many different forms with heat, hence the term, “thermo”. Usually transparent, you can also find it translucent or in many different colours. In sheet form it is quite shatter resistant so it often replaces glass. Shower stalls, magazine display cases, rear lights in cars, aircraft windows, aquarium walls or even pink transparent electric guitars are all made from this ubiquitous plastic. Several types of adhesive are quite effective in gluing acrylic: cyanoacrylate or “superglue”, solvent cements and epoxy adhesives. Note: Superglue can cause extensive discolouration and deformation of acrylic due to the chemical reaction between the glue and the plastic. It is advisable to test before using. Click here for more top rated Glues for Thermoplastics. Acrylic PMMA is classified as Plastic Code 7: O-other plastics. Black plastic pipes! Isn’t that the first image that jumps to mind when you hear the term, ABS? Acrylonitrile Butadiene Styrene (isn't that a mouthful!) is the common replacement for the old steel pipes that rusted out and leaked. A very tough plastic with high impact resistance, ABS is also a thermoplastic that can be formed by injection molding into many more interesting and useful things than just plumbing pipes. This amazing plastic is also used to make whitewater canoes, toys like Lego®, luggage, protective headgear and when ground down really, really fine it’s used to add colour to tattoo inks. So the next time you pick up that recorder you used to play, you’ll be playing with ABS plastic. With very high shock absorbing qualities, it's ideal for car bumpers and the heads of golf clubs. Who knew that every time I took a swing I was hitting the ball with the same plastic as my plumbing! ABS is classified as Plastic Code 7: O-other plastics. Moving up the line in thermoplastics we have polycarbonate plastic. This type of plastic is similar but a lot tougher than acrylic. It won’t crack as easily and unlike acrylic it can be reformed at room temperature. 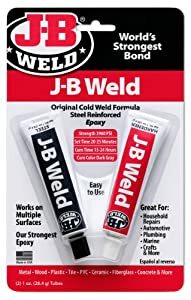 It is also more durable in extreme temperatures which is why it’s used for windscreens on snowmobiles in the bitterly cold Arctic. CDs, DVDs and Blu-ray discs are all made from polycarbonate. You’ll find it in swimming goggles and protective visors and police riot gear. Eye glass lenses are often made from this material because it also protect eyes from UV radiation. As another thermoplastic, polycarbonates glue well with epoxy glues, cyanoacrylates and acrylic cements. Polycarbonate (PC) is classified as Plastic Code 7: O-other plastics. An ice cold Coke on a hot summer’s day. Time was if you dropped the empty bottle on the rocks at the beach (accidently, of course) it would shatter into shards of green glass only to wash up years later as polished sea-glass. Today that if you dropped that same Coke bottle on the rocks chances are that it would just bounce off and float away since it’s now made of polyethylene plastic. There are several types of polyethylene, which is one of the three most widely produced of all the plastics. The other two most widely used plastics are Polypropylene (PP) and Polyvinyl Chloride (PVC). The Coke bottle is made from PET or PETE or poly(ethylene terephthalate). Try saying that ten times fast! PET is a thermoplastic of the polyester family from which we get those famous polyester suits, shirts, shorts and ties. Food containers, water bottles, buckets and frozen dinner trays are all made from PET. Recycled PET plastic water bottles are often used to make carpet fibre for polyester carpets. You know, the ones that generate all that static electricity that zaps you when you go to turn on the light. detergent jugs, plastic films, kayaks and some toys are made from HDPE. LDPE goes into making things like squeeze bottles for ketchup, wire insulation, some trash bags and bags for storing food. It can be tricky to glue polyethylene since it resists both solvents and cements. 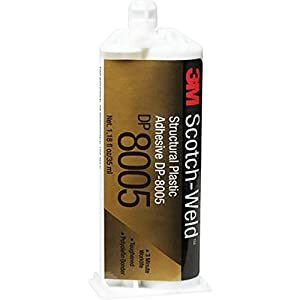 However, 3M has several adhesives engineered specifically to glue polyethylene, in both its rigid and flexible forms. bottles this thermoplastic polymer is used to make so many things it'll make your head swim. lab equipment such as vials and face masks are all made from PP. Going for a walk in sub-zero temperatures? Don’t forget your polyproylene thermal underwear. Since Polypropylene is a recyclable plastic you may not have much occasion to glue two pieces of it together. And that would be fortunate because PP resists most glues as well as solvents. This resistance especially to chemiicals is why it is used to make so many things we use every day. Still, you can use two part epoxy glue or a hot-glue gun if the objects you need to glue are solid and won’t be bent or flexed too much. Plastic welders are also very good for joining polypropylene to itself. Click here for more top rated Polypropylene Adhesives. Where would we be without polystyrene? Well, our coastal shorelines might be a lot cleaner. Yeah, that’s right, polystyrene is that crumbly foam packaging stuff that keeps washing up along the coasts and poisoning wildlife. We know it as Styrofoam®. Although mostly used for wall insulation, expanded polystyrene is still used for take-out containers and food packaging. Glued together it can be carved and shaped for use as supports for arts and crafts projects. At least that’s the ‘expanded’ form of the stuff. Non-expanded or extruded polystyrene is hard and is made clear or in a variety of colours. The next time you take out a CD or DVD from its "jewel case" you'll be handling hard PS. It’s also used for packing material – those annoying little “peanuts” that get all over the place - plastic plates, cutlery and disposable razor blades. Gluing expanded foam polystyrene can be done quite readily with 3M 78 Polystyrene Foam Insulation Spray Adhesive. But if you want to fix a CD case or you like to build models then Tamiya Extra Thin Cement or Testors Plastic Model Cement would be more suitable to your needs. Click here for more top rated Glues for Polystyrene. showercurtain liners. This, more flexible or 'plasticized' form of PVC, is often used to replace rubber, as imitation leather, for signs, beach balls and even clothing. Check out those pants! The more rigid or 'unplasticiezed' form of PVC, or uPVC, is used for bank and credit cards, bottles and window frames and non-food packaging. But most of it is used in sewage pipe for grey water and for irrigation. Vinyl glues and cements are especially designed for the more flexible form of PVC. There are quite a few on the market. If you're trying to fix something in your car you might want to try Amazing GOOP, or if its an inflatable toy, a ball, or floating air matress you will want to use either Airhead or Boxer. bridges the gap between rubber and plastics. Slip on your runners and grab your skateboard and you will be glad to know that the soles of your sneakers and the wheels on your board are likely made from TPU. Why should you be glad? Because this plastic has the kind of properties you need for long lasting fun. TPU is elastic enough to even out the little bumps in the road. Yet it’s tough enough to resist oil and grease and won’t wear out even after prolonged use. I know from my own experience that the laces and uppers of my sports shoes will need to be replaced long before the soles show much wear. Also transparent, thermoplastic polyurethane is used to make swimming goggles, film and sheet plastics and clear flexible tubing amongst many other applications. TPU, can be glued with most acrylic based adhesives such as 3M-DP8005, Henkel-Loctite Plastic Epoxy Bonder, or Weld-On 16 Acrylic Adhesive. Click here for more top rated Glues for Thermoplastic. There are a lot of reasons to love plastics. They're cheap to produce, lightweight and a have a zillion uses. But there are also so many reasons to hate plastic. One of the biggest complaints against the stuff is that it really messes up the environment.Big time! It ends up everywhere and just lasts forever because most plastics are not biodegradable. Polylactic acid is made from natural foodstuffs like cornstarch, sugarcane or tapioca roots. That’s right the next time you have that tapioca pudding you might want to check to make sure it isn’t spun out of PLA. But seriously, PLA is the second most consumed plastic on the planet and that’s a good thing since it won’t be around forever once it’s thrown away. That’s why it’s used as mulch film in agriculture. You know, that black sheeting we see covering the fields especially at the beginning of the growing season. PLA's eco-friendliness makes it ideal for compost and recycling bags, tea bags, disposable cups and shrink-wrap for food packaging. And because it degrades to a harmless lactic acid, PLA is also used for medical implants and supports for regenerating bone. PLA is also widely used in 3D printing. It gives off fewer toxic fumes when heated than ABS also a commonly used plastic in 3D printing. PLA is also softer and more malleable than ABS. those printed parts together at some point or another. Loctite 401 Prism Instant Adhesive is an excellent and reliable glue for PLA. A hot glue gun with acrylic glue sticks will also do the job quite nicely.